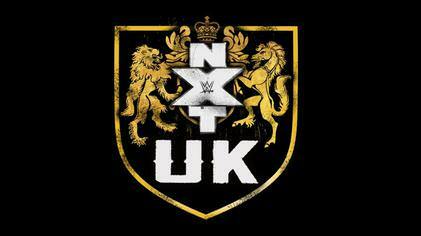 General discussion thread for the weekly NXT UK show. The show finally premieres on the WWE Network this Wednesday on the 17th, just about 4 months after it was announced during the first day of the UK Tournament / NXT UK Championship two-day special back in June. Last edited by Psychosocial; 10-15-2018 at 01:08 PM. Looking forward to this even though I only know 5% of the roster. If it’s half as good as nxt I’ll be happy. Really looking forward to this. It's another NXT show, what's not to love! They've got a good amount of talent for this show. They've got some of the best talent in the UK excluding guys like Ospreay, Scurll, Sabre Jr., and Walter. Helps that the Women's Division has women like Rhea and Dakota filling gaps but not having women like Viper and KLR doesn't allow to be as good as it could be. I'll be interested to check this out. Can't say I'll watch weekly because God knows there's enough wrestling as is. Really looking forward to seeing how WWE display the UK platform. The brand will be led healthy by the likes of BSS, Zack Gibson, Mark Andrews and Flash Morgan Webster, those are by far the most talented guys they have. Jordan Devlin will be the one to watch, he's made great progress since appearing in the first UK tournament. El Ligero is a British Wrestling legend so it's nice to see him involved. I look at the rest of the names mentioned though and there's a lot of hit and miss performers, likes of Travis Banks, Joe Coffey, Wolfgang and Eddie Dennis can produce but sometimes they come across very meh. Quite interested to see how the Women's division plays out, as I've seen quite a few of them compete on the indies recently. Some I'm not sure suit the WWE style, Charlie Morgan especially. The likes of Rhea, Jinny, Toni and hopefully Killer Kelly will be at the forefront, also looking forward to seeing how Nina Samuels fares, she's a great promo worker. The debut episode was great,the main event delivered! It may be my British pride and bias but I really enjoyed the first episode, some good stuff. How did it rate compared to WoS?